Korean Cultural Centre UK’s U_Design City_Seoul exhibition, in association with London Architectural Festival and in collaboration with Seoul Metropolitan City Government, runs from 20 June to 2 August. The exhibition introduces Seoul’s selection as ‘World Design Capital 2010’ and Seoul’s architectural history. 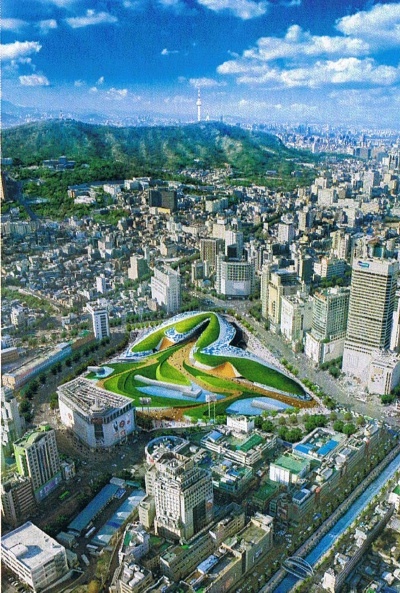 The ‘World Design Plaza’ is the core building to Seoul’s future development as the design centre of the world. These lecture series for July attempts to introduce the vision behind the World Design Plaza by the leading architect and the director of Zaha Hadid Architects, followed by a lecture on the architectural history by occidental architects in Seoul.